Many of the complex plant traits related to sexual reproduction evolved first in charophyceans. 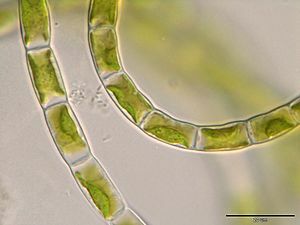 Analysis of cpDNA (chloroplast DNA) shows that characteristics of plant chloroplasts also evolved first in the charophyceans, before the Zygnematales diverged from the lineage that lead to Coleochaetales, Charales, and the land plants. 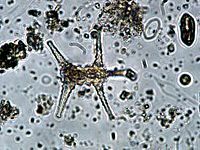 Charophyceae Facts for Kids. Kiddle Encyclopedia.